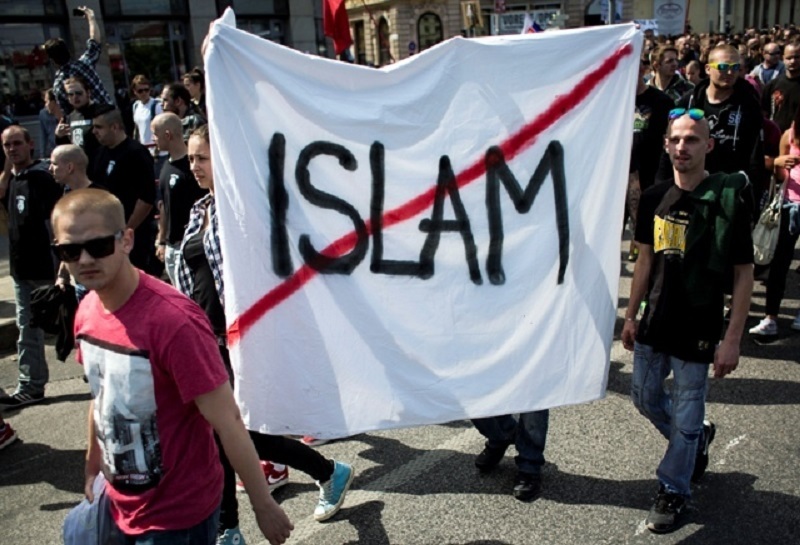 Berlin (IINA) – A new study on Islamophobia in 27 European countries offers evidence of how the phenomenon is thriving, threatening ideals of diversity and democracy across the continent and inspiring acts of anti-Muslim violence. The European Islamophobia Report 2016, set to be launched Friday, features work from 31 scholars. This is the second edition of the report. In introducing the concept in 2016, the editors noted that most member countries of the Organization for Cooperation and Security in Europe or OCSE, did not collect official information on hate crimes against Muslims. They said them wanted to explore discrimination in matters beyond physical and verbal abuse and immigration policy, looking at the ways people suffer because of their association with Islam in overlooked areas like employment, school curricula and cyberspace. In Germany, for instance, attacks against recently arrived migrants, many of them refugees coming from predominantly Muslim countries have increased dramatically, according to local authorities. The interior ministry says more than 3,500 such attacks occurred in 2016, compared with 1,031 in 2015. “Islamophobia has become the most commonplace expression of racist prejudice in Germany … there is now considerable evidence that a growing proportion of the population in Germany not only holds these views but is prepared to translate them into multiple forms of political action,” Aleksandra Lewicki, a sociologist at the Free University of Berlin, wrote. She noted that media outlets appeared far less likely to cover anti-migrant violence than allegations of violence by migrants. Skepticism toward Muslims has become such a widely held sentiment that top political figures in Albania, a rare Muslim-majority society in the middle of the continent, see promoting Islamophobia as essential to proving their place in Europe, the Free University’s Besnik Sinani argued. In the U.S., President Donald Trump’s attempt to institutionalize Islamophobia employs similar tactics: His ban on entry to the U.S. of people from seven Muslim-majority countries controversially suggested that citizens of those nations were particularly responsible for violence against women and girls in America. In an email to HuffPost, Hafez highlighted a recent European Court of Justice ruling that said a Belgian employer was permitted to fire an employee because she wore a headscarf. Some of the countries had not yet seen major spikes in Islamophobia, but the experts warned that such hatred could grow. In Ireland, media talk of Muslims centered on the debunked “clash of civilizations” theory that sees Islam and the West as entirely separate from each other and incompatible, and on the idea that Irish Muslims might be undermining society from within, James Carr of the University of Limerick reported. Alexandros Sakellariou, who teaches sociology at the Hellenic Open University of Athens said influential Greek Orthodox Church figures continued to deny that Islam could have any place in Greek life. Players hoping to weaken Europe want to keep the fear going. Kremlin disinformation campaigns that support far-right figures in the continent demonize refugees and present supposed security threats from Muslims as a product of weak European policies, Alina Polyakova of the Atlantic Council think tank told HuffPost.